South Africa's real estate investment trust (SA REIT) sector is heading for a re-rating and the question is whether the sector will rally this year or next, the SA REIT Association said in a recent statement. The association represents SA's R330bn listed REIT sector. In January 2019 the FTSE/JSE SA Listed Property Index (SAPY) has had its strongest January performance in 10-plus years since 2007, outperforming all other asset classes. At the end of January, the SAPY was up 9.17%, well ahead of the FTSE/JSE All-share Index (ALSI) at 2.69%; bonds at 1.7%; and cash at 0.6%, according to the SA REIT Association. Wynand Smit, real estate analyst at Anchor Stockbrokers explains in the statement that most SA REITs de-rated during 2018. Should growth expectations start to improve during 2019, the valuations of the SA REITs are compelling, in his view. A re-rate in the sector would be a big gain for it in 2019, according to Mvula Seroto of Catalyst Fund Managers. "However, this will only be possible if the economic outlook improves; there are positive results from the 2019 general elections; and a reprieve from credit rating agency downgrades," said Seroto. Mohamed Kalla, director and portfolio manager at Sesfikile Capital, commented that "being quite conservative in our relative rating and growth expectations, we arrive at a 2019 total return expectation of about 12% for the FTSE/JSE All Property Index (ALPI)". In his view, the main driver is the attractive - on a relative and absolute basis - initial forward yield and does not factor in a significant re-rating relative to bonds in 2019. However, Sesfikile Capital forecasts point to a more stable 2020 growth outlook, which should result in better re-rating potential a year from now, he explained. Stanlib analyst and portfolio manager Ahmed Motara believes it is too early to call for a material REIT sector rally in 2019. Upcoming elections in SA; Edcon concerns; and possibly lower retailer rentals are issues to be absorbed by the SA REIT sector this year. For 2019, Motara anticipates the income return to dominate the total return picture in the REIT sector with 2020 expected to see a return to higher total returns as capital return becomes more evident. 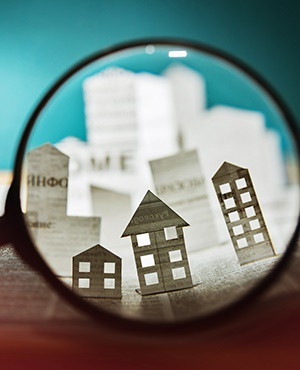 According to Capricorn Fund Managers SA's Howard Penny, who expects 2019 to be a better year overall for SA REIT returns after a disappointing 2018, the jury is out as to whether the sector could re-rate on a relative valuation level this year. "Given worries surrounding rising global interest rates, perhaps the bounce back may have to wait for 2020," said Penny. Andrea Taverna-Turisan, SA REIT Association marketing committee chair, commented that "with the cost of equity having increased substantially in SA, management teams of local property counters will need to focus on the pure property fundamentals of their organisations to ensure the property sector will become more robust and better positioned to deliver shareholder value over time".